Ugh. 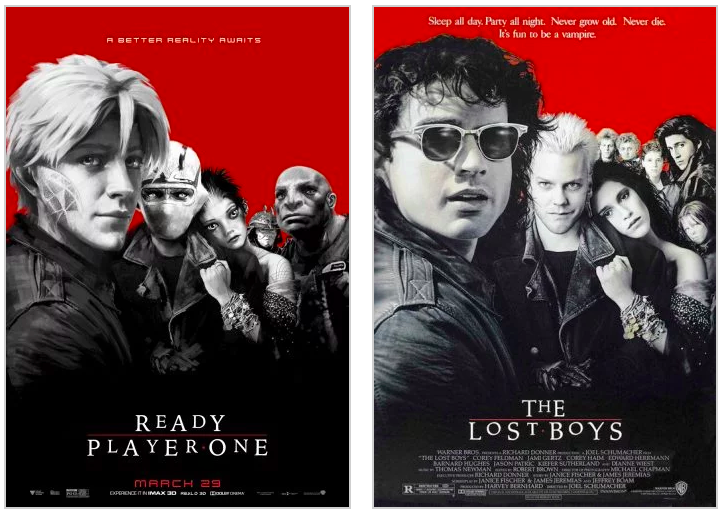 What can I say about the new Ready Player One posters that are paying tribute to older movies (from the 80s and 90s)? I’m not really sure. Nothing good—I can tell you that. I absolutely hate them. But for some reason, I can’t tell you exactly why. 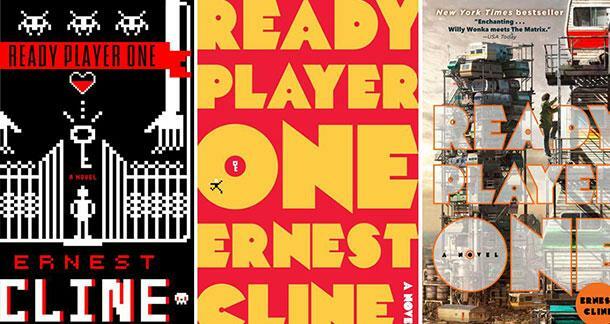 Ready Player One is a Steven Spielberg film based on Ernest Cline’s bestselling book of the same name. The book takes place in a dystopian future where a poor teen named Wade Watts spends his days trying to get through real life by immersing himself in the virtual reality world called the OASIS. Within that world is an easter egg left by its creator James Halliday. The first person to find and unlock that egg will win the grand prize: Halliday’s entire fortune and full ownership of the OASIS. So, Wade and every living person in the world joins the quest—but not everyone is playing fair. 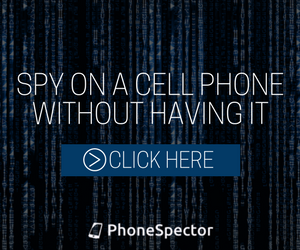 Cheaters and secret spy rings abound … and they’ll do anything to win. The book is bursting with 80s references throughout. Everything from Blade Runner to Dungeons and Dragons to The Iron Giant and more are referenced. This makes it a great nostalgic ride for those who grew up during that time period. The movie that the book is based on looks to be a real crowd-pleaser—as evidenced by the trailer’s smorgasbord of iconic fictional characters. However, Spielberg is not using any of his own film references in the big-screen adaptation. This is a big letdown for many fans. The venerable director is one of the biggest icons of 80s films (and beyond). His properties are heavily referenced in the book. So, omitting them feels completely wrong. That (mis)treatment of the source material has rubbed its fans the wrong way. And now, the new posters just made things worse. 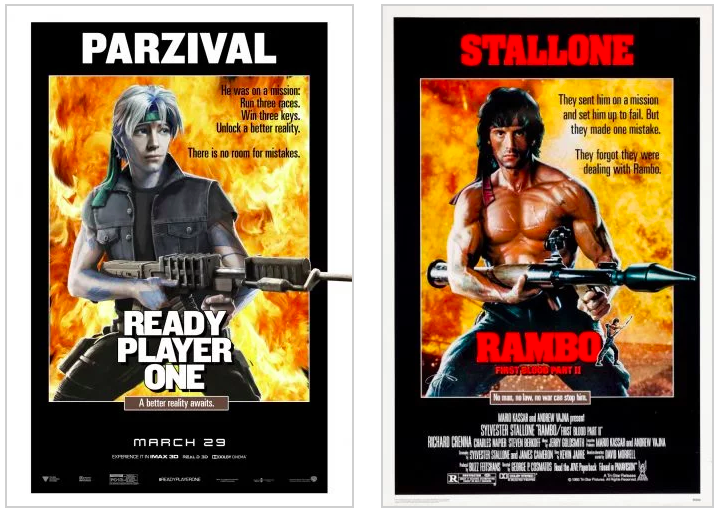 What’s Wrong with the Ready Player One Posters? They look amateurish—Seriously. They’re just poorly done. Like some high school kid created them in Photoshop. Why do they look that way? Maybe it’s because the creators have substituted the classic movies’ characters with RPO‘s virtual reality ones. Maybe something else. The characters are unfamiliar—Often substituting other personalities into well-known images can be really fun. So why is it falling flat here? I think the “fun” gets lost because no one has ever seen these OASIS characters before. No one appreciates them yet. Like when a favorite band tells the audience at a concert, “We’re gonna play something from our new album” and everyone sorta groans. They pay homage to the fault of the book—Let me first say that I’m a nerd. That’s why I read the RPO novel. And I enjoyed it … somewhat. Many readers who disliked the book complained that it was nothing more than a story that pandered to nerds with pop culture nostalgia. That it lacked real substance. I think that’s why I had a like/dislike experience with the book. The posters suffer because they’re relying on the same idea. They’re playing off of that “look how cool we are” attitude because we’re loading our marketing efforts with cool-nerdiness. That just doesn’t work for me. They misinterpret (and insult) the original posters’ messages—What do I mean here? 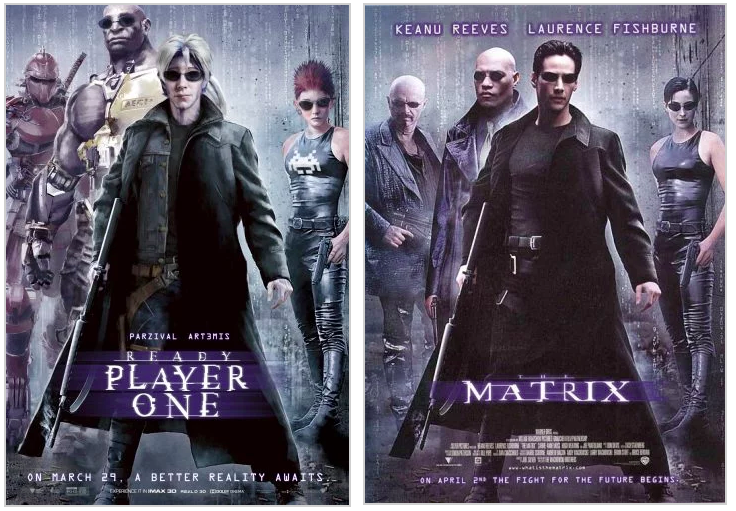 Take a look at the original poster for The Matrix. Neo has a serious look on his face that says he’s ready for anything. His stance shows a hint of movement and anticipation of what’s next. Now look at the homage poster. 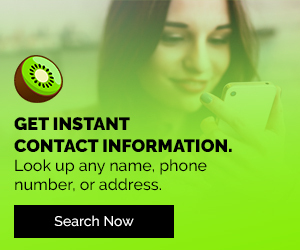 Wade Watts’ online persona Parzival has an almost ho-hum expression—what with his raised eyebrows. His pose is just that: a pose. The same goes for Rambo. John Rambo stares directly at the viewer with a look of grim determination, while boy-bandy Parzival bats his puppy-dog eyes somewhere “off-camera”—all while holding a machine gun in a combat stance. It just feels wrong. As I said before, I only moderately enjoyed the Ready Player One book. The film version looks to be a CGI-heavy (how could it not be) recreation of that—and I’m getting tired of over-the-top computer graphic blockbusters. So, those reasons are enough to keep me away from seeing this film in theaters, even if it is directed by one of the greatest filmmakers in history. What about you? 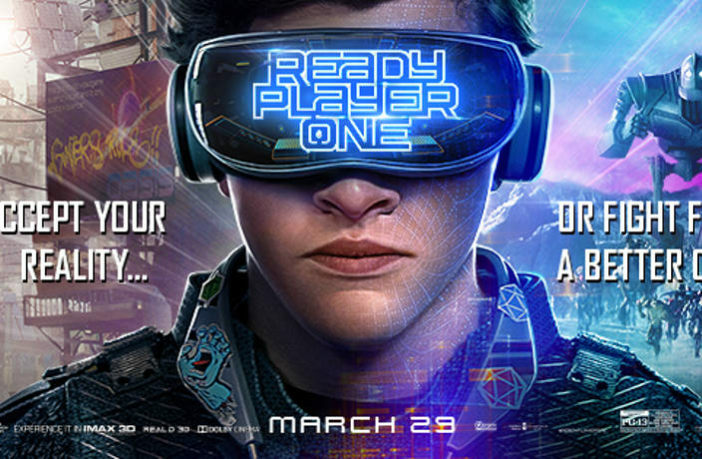 How do you feel about the Ready Player One posters? Did you read the book? Are you excited about the movie? Let me know in the comments section below.